Port forwarding is very simple to do with iptables in a UNIX operating system. This work like gateway operation. In UNIX kernels port forwarding can be done by packet filter rules . 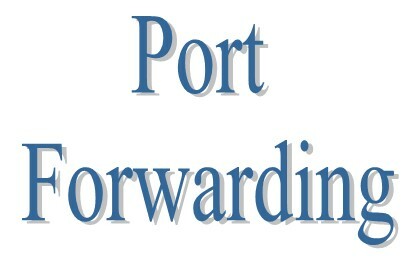 Port forwarding also called port mapping usually refers to the network address translator (NAT). check the file /proc/sys/net/ipv4/ip_forward inside this file 1 should be there if it is 0 then run the below command.